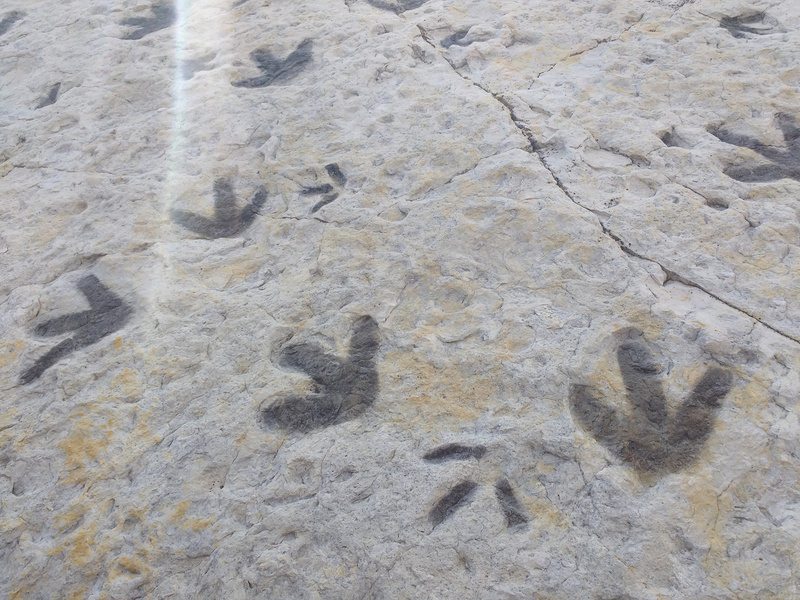 Free high resolution photo of dinosaur footprints in sandstone. This picture was shot at the world famous Dinosaur Ridge near Morrison, Colorado. The image shows fossilized dinosaur tracks preserved in the Cretaceous Dakota sandstone formation. I believe the organization that maintains the site has darkened the footprints with some sort of paint or pigment to make them more easily visible to visitors. Free Image for any use.